CHICAGO, October 1, 2015 – The Chicago Architecture Biennial will officially open to the public this weekend on Saturday, October 3, 2015. The largest international survey of contemporary architecture in North America will run until January 3, 2016. 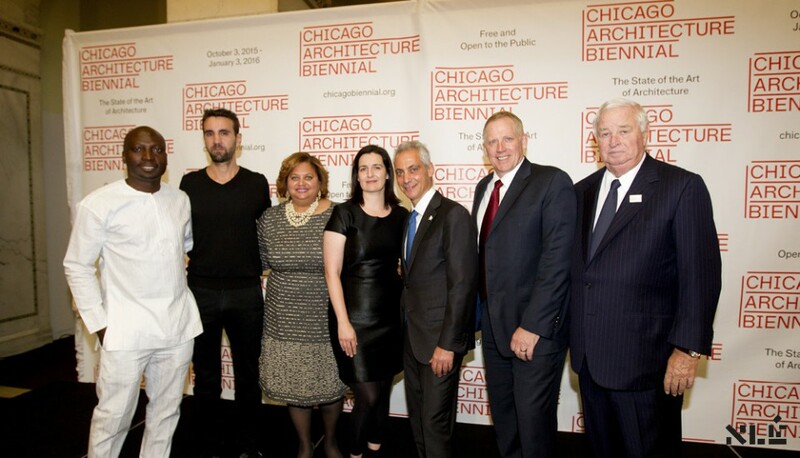 The Chicago Architecture Biennial was envisioned by Mayor Rahm Emanuel and is an outgrowth of the comprehensive cultural plan developed by the Department of Cultural Affairs and Special Events (DCASE) and its commissioner, Michelle T. Boone. The final roster of participants featuring over 100 architects and artists—representing more than 30 countries—was selected by Biennial Co-Artistic Directors Joseph Grima and Sarah Herda, who were supported by an advisory committee comprised of David Adjaye, Wiel Arets, Elizabeth Diller, Jeanne Gang, Frank Gehry, Sylvia Lavin, Hans Ulrich Obrist, Lord Peter Palumbo, Zoë Ryan, and Stanley Tigerman. Accompanying the exhibition is a robust roster of public programming, including performances, lectures, panel discussions, workshops, exhibitions, tours, film screenings, and social events. In an age of accelerated change, today’s architects, artists, designers, planners, and activists are developing an extraordinary range of visionary ideas that test the limits of these realms of everyday life. The Biennial’s programs explore issues at the heart of the practice of architecture, while inviting dialogue about how we build, inhabit, and shape our world. Ranging from a performance conceived by Bryony Roberts and the South Shore Drill Team that will activate Federal Plaza; to lectures delivered by Pritzker Prize winning architects, such as Jacques Herzog and Thom Mayne; to tours of Frank Lloyd Wright’s renowned SC Johnson campus in Racine, Wisconsin; the Biennial’s programming offers the public a variety of ways to engage, explore, and ask their own questions about the state of the art of architecture today. Beginning with opening weekend festivities on October 3rd and 4th, and continuing over the course of three months, more than 100 cultural and educational institutions across the city and region will present more than 200 collateral events on the occasion of the inaugural Chicago Architecture Biennial. The Biennial and its partners will leverage Chicago’s unique legacy as an incubator of architectural ideas, to take stock of the extraordinary ways in which architects, artists, designers, planners, activists, and policy makers from around the world are tackling the most pressing issues of today and generate new thinking about architecture and its implications for our times. “Over the past year, we have had hundreds of thrilling conversations with architects from around the world about the important issues and innovations shaping the future of architecture and design. 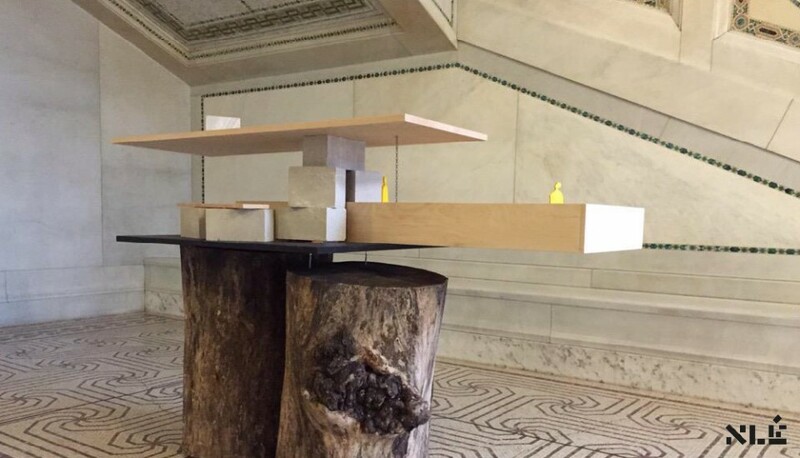 We are so inspired to now see these ideas come to life with these dynamic installations found throughout the Cultural Center and throughout Chicago.” said Sarah Herda and Joseph Grima, Chicago Architecture Biennial Co-Artistic Directors. Opening concurrently is Chicago Horizon designed by Ultramoderne, the winning kiosk in the Lakefront Kiosk Competition. An architectural competition organized by the Chicago Architecture Biennial in partnership with the Chicago Park District, the Lakefront Kiosk Competition is supported by BP, presenting sponsor of the Chicago Architecture Biennial. 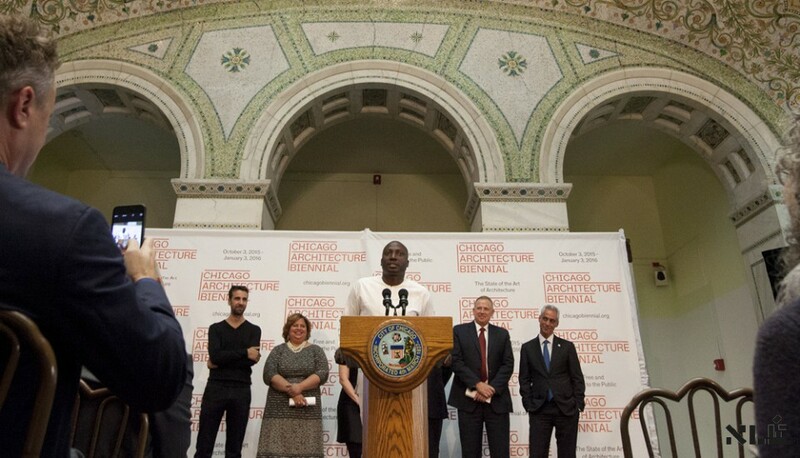 The competition is a featured component of the inaugural Chicago Architecture Biennial, a key part of Mayor Emanuel’s continuing efforts to promote architecture as one of Chicago’s thriving cultural sectors and to create new cultural experiences in the city’s neighborhoods and parks. The Lakefront Kiosk Competition is part of a broader initiative to activate cultural life on Chicago’s lakefront through creative architectural solutions. Also under the auspices of the Chicago Architecture Biennial, three additional kiosks are being created by emerging international and domestic architectural offices with local schools of architecture. Chilean firm Pezo von Ellrichausen is working with students from the Illinois Institute of Technology; Nigerian architect Kunlé Adeyemi is working with students from the School of the Art Institute of Chicago; and American architects Paul Preisner of Chicago and Paul Anderson of Denver-based Indie Architecture is working with students from the University of Illinois at Chicago. Photography by Brooke Collins / City of Chicago.